At this point in my life I have two types of homes: There’s home, and there’s Home-Home. Note the capitalization differences. Capitalized words are important, meaning Home-Home is muy importante. Lexington is home. I have a lovely rental house in a quiet, family-filled neighborhood, an enjoyable work routine, and plenty of hobbies to keep me busy. At home I have a hard time not planning my days to a T. Wake up, wash my face, make breakfast, read the latest horse racing news, pack my lunch, get ready for the day, work, workout, errands, friends, reading, practicing Spanish, learning to golf, riding when I can, cooking, cleaning. Adulting. I used to associate Home-Home with school and stress and boredom and exams, too much to accomplish and too little time. I didn’t breathe deeply, didn’t enjoy moments, didn’t savor the air that I recognized the scent of as soon as I stepped off the airplane on Wednesday: light and fall-ish with wide-open wheat and corn fields. I don’t know how else to describe it, except that it’s so fresh you take a life-giving breath and then a second breath just to let it linger in your lungs and nostrils. Now I’m sitting in front of my laptop with a cup of chamomile anise tea, listening to the living room ceiling fan rhythmically click the most delicious white noise – the best for napping on the couch. The giant picture window to my right frames our lush green backyard. The thick, brambly overgrowth begins where the lawn ends, concealing the deer and turkeys who make their home along the Red River of the north. Our back patio has acquired new red and pink geraniums and a set of outdoor furniture since May. Perpetuating stereotypes with my friend Marge. Home-Home. Funny how influential context can be in how you appreciate something. For me it took graduating and moving away before I could truly appreciate the importance of home. From where I came from to where I am now career-wise, my background is unique, and I’ve started trying to convey that to people when I introduce myself. On a side note, even though my home address is Moorhead, Minnesota, I was born and went to college in Fargo. Most people have never heard of Moorhead, so I tell them I’m from Fargo. 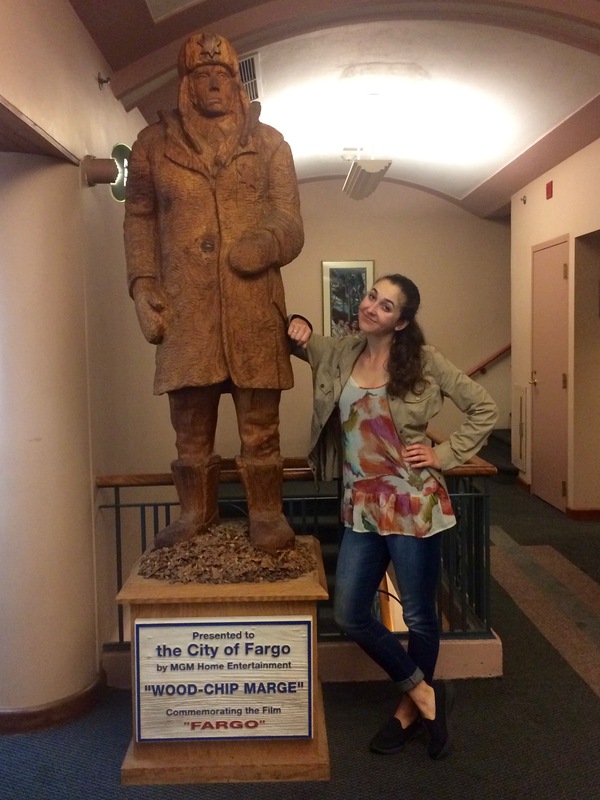 I refer to Home-Home as Fargo most of the time. Now, I’m a pretty good-humored person. I’m good for a joke and have the ability to laugh at myself, even when the joke is about me. But there’s one comment that has begun to wear on me the more I hear it. I generally get one of two reactions when I tell people I’m from Fargo, and there’s a clear distinction between them. This is a valid question. The North Dakota Horse Park, the racetrack in Fargo is not widely known, and the chances of being successful there before moving on to bigger and more extravagant things are dependent upon what you do with the opportunities that are offered you, and how far you’re willing to go to create your own. A joke it might be, and maybe they only intend to reference the lack of positions in my career field in that general region. But wording it that way seems to suggest I come from a little podunk town with a single gas station and a restaurant where crime negotiations take place that lead to people being stuffed into wood chippers. Fargo, North Dakota and Moorhead, Minnesota are good places with good people, and my kindness and trusting nature reflects the people who surrounded me as I grew up. In Fargo we learn to work hard and dress for the cold, which makes us resilient and self-sufficient. My drive and determination to succeed in horse racing wouldn’t be the same if I hadn’t grown up here near Fargo. P.S. Another common question I get is about the population of Fargo. There are approximately 120,000 people in Fargo and 42,000 in Moorhead. The two are essentially one city with a river in the middle, so including the folks in surrounding towns we’ll say there are around 170,00 in the general area. In comparison, the population of Lexington, Kentucky is 318,000-ish. 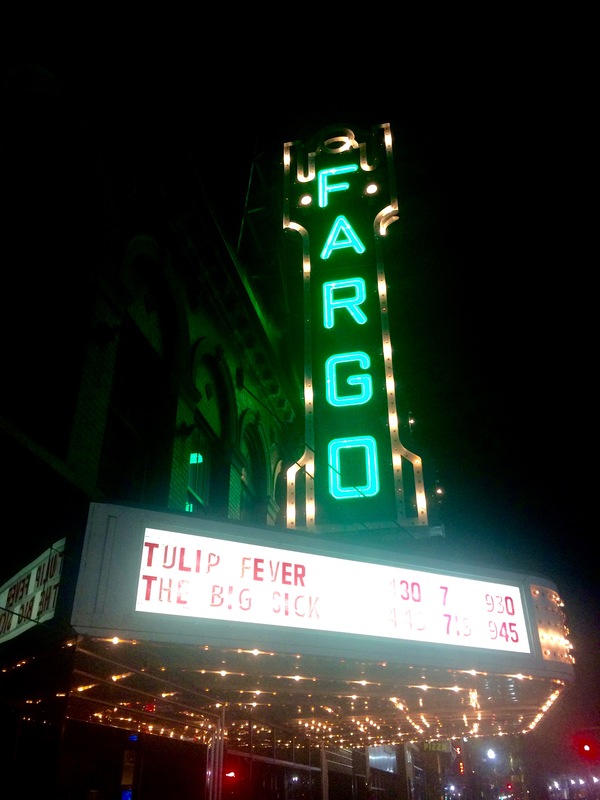 Indeed, Fargo is a thriving metro with great culture and many underestimated qualities. You’re a good ambassador of the region! Out of transparency, I work for the Fargo Moorhead West Fargo Chamber of Commerce, and your mother sent me the link to this post. I’m so glad she did.